Sydney Mazda is all about you, our customers! We are here to guide you in your vehicle purchases and make sure you leave the dealership smiling. With our trained sales/customer service professionals, you will be greeted with a smile and treated like family. 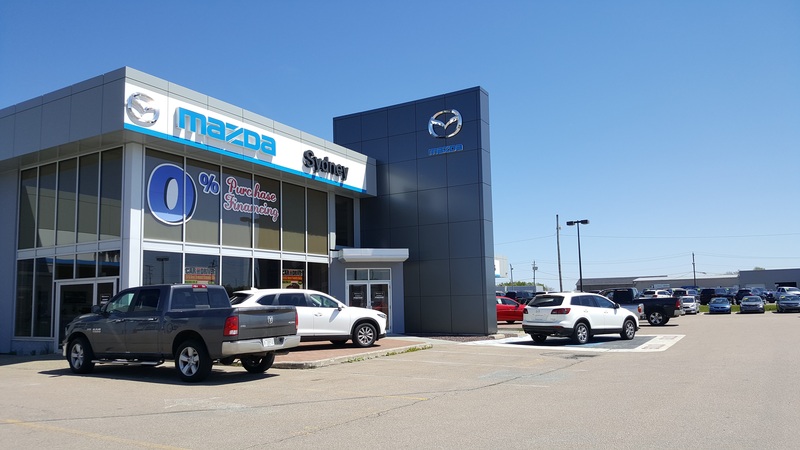 We are the only Mazda dealership in Cape Breton! We offer you award-winning vehicles and the ultimate best warranty: Mazda Unlimited KM Warranty. You can purchase New Vehicles, Certified Pre-Owned Mazda Vehicles, Used Vehicles, and you can also inquire about Trade-Ins! Earn Air Miles Reward Miles when you become part of the Sydney Mazda family! Earn up to 1000 Air Miles on New vehicles, and up to 1500 Air Miles on Used Vehicles! You can find us on Social Media as well! Follow us on Facebook and Instagram for contests, sweepstakes, and information about Sydney Mazda and Mazda products. Sydney Mazda strives to educate customers about Mazda’s product development and give first hand experience when it comes to product knowledge. We also strives to educate the customers about what coverage they can expect once they become Mazda owners. We are building our Mazda Family one customer at a time, and we would be honored to have you as a part of our rapidly growing Mazda family.